Leon County’s Lake Jackson has a long tradition of waterfowl hunting. As far back as 1000 AD, Native Americans who lived around the lake trapped, snared and hunted waterfowl, including geese, using the meat for food, and the feathers and bones for clothing and adornments. There are several species of diving ducks to encounter on the lake, the most common being the Ringneck Duck, along with a few Scaup, Ruddy, Redhead, Canvasback and Baffleheads. The surface feeding ducks on Lake Jackson include Wood Ducks, Gadwalls, Greenwing Teal and Bluewing Teal, and occasionally Mallards, Pintails, Shovelea and Widgeon. Leon County has more restrictive duck hunting regulations than other counties in Florida. Duck hunting is only allowed from 30 minutes before sunrise to 30 minutes after sunset on open days which are Wednesday, Saturday, Sunday and holidays. There are also motor size restrictions for boats on Lake Jackson. And although some motors are legal, hunters should still refrain from running them at night. Not only can it be a disturbance to residents living along the lake, but the noise can run off thousands of ducks that roost on the lake, disrupting their nighttime feeding patterns. One common problem of duck hunting on lakes located in areas that have become urbanized, like the area around Lake Jackson, is the impact that duck hunting has on the lives of individuals living hunting near in lakeside homes. The basic complaint is that of early morning shotgun blasts by duck hunters waking homeowners abruptly from their sleep. Lake Jackson is an enclosed basin and in the cooler fall weather, when duck hunting season begins, these shots ring through the thin air like cannon blasts. If ducks or doves are using a shoreline adjacent to a residential property, a duck hunter may occasionally set up a blind there with decoys. This does not happen that often, but when it does hunters do usually take care to face opposite to the shore, toward the open lake, and shoot away from the home. Naturally, this still upsets the homeowner because of the noise and the possibility of a stray shot heading in the direction of their bedroom window. Some homeowners feel this is a public safety issue and are fearful of going outside to enjoy their docks or do yard work while duck hunters are active. However, legally speaking, there are no official setbacks or a legally defined distance a hunter must be from a dwelling on the lake. F.S.790 does state that hunters cannot discharge a firearm “into or across” a dwelling. This would apply to structures such as docks and even to the residential yards themselves adjacent to the shoreline that might be subject to pellets raining down on them. Duck hunters are on the whole ethical, and generally, do not want to draw attention to themselves. They want to avoid complaints and not end up being subject to police involvement. On very rare occasions, a homeowner who takes it upon himself to confront a hunter who is exhibiting bad behavior may be threatened by a hunter using or displaying a firearm in a rude, careless and or threatening manner. There is one specific law that would be broken if someone discharges a firearm across your property or boundary line in an attempt to take wildlife. This is known as Felony Trespass by projection. Another wildlife violation you might be witness to is shooting from moving vessels. If any of these above conditions exist on Lake Jackson, feel free to call the Sheriff’s office or Fish and Wildlife Enforcement. 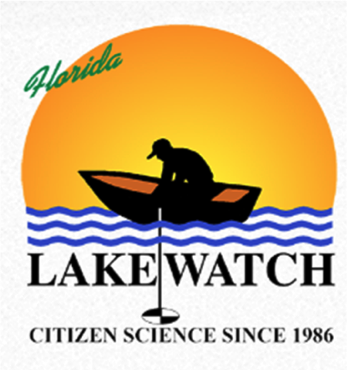 It is important to know that some states and counties do have local laws on lake hunting. On federal lakes owned by Federal agencies you usually cannot shoot within 300 ft. of a dock, house, boat ramp, dam or other structure. And It is also important to be aware that homeowners can always lobby through state agencies, legislators and county commissioners, if hunting becomes seriously problematic on the lake they live on. Everyone has a duty to share and the right to enjoy the “Jewel of Leon County” that is Lake Jackson. What you don’t want to do is to yell at hunters from your dock or backyard because this invites a verbal confrontation and is self-defeating. Although shotgun blasts are annoying, remember to be patient and realize that duck season is only a couple of months long. Lake Jackson has a long history which includes good waterfowl hunting. We all must learn to accept or change with modern times. With a little respect, common sense, and polite communication, homeowners and duck hunters alike can share common ground and work together for the greater good of Lake Jackson. Duck hunting season officially begins on Nov. 18. 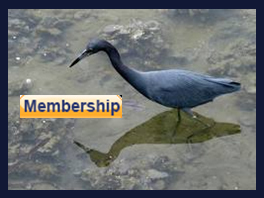 Development Agreement-Leon County and Edward Mitchell Jr.Lake Jackson Paddling Trail Guide Online & Trail Map .pdf! Full Moon Paddle with Tally Yakkers Outfitters! 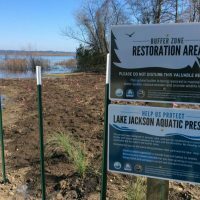 LJAP Clean-up on Lake Jackson is a great success!